The American Library Association created their popular celebrity READ posters in 1985. 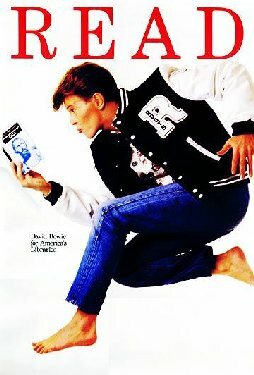 Bette Midler, Paul Newman, and Steve Martin were featured in some of the earliest posters, but you're most likely to remember the classic 1987 poster featuring David Bowie, which graced the walls of many public and high school libraries. The Minnesota Library Association recently paid a visit to the State Capitol and photographed nineteen House and Senate members with favorite books for their own series of READ posters. Around here, these might become the David Bowie posters of their time! The legislators featured are Rep. Paul Anderson, Rep. Kristin Bahner, Rep. Jamie Becker-Finn, Rep. Robert Bierman, Sen. Karla Bigham, Rep. Greg Boe, Sen. Jim Carlson, Rep. Jack Considine, Sen. Gary Dahms, Sen. Scott Dibble, Rep. Rob Ecklund, Sen. Nick Frentz, Rep. Bud Nornes, Rep. Mary Kunesh-Podein, Rep. Fue Lee, Rep. John Petersburg, Rep. Dean Urdahl, Sen. Chuck Wiger, and Rep. Dan Wolgamott. Come see which books they chose as their favorites--and which legislator is featured with his own published work of fiction. The READ posters will be on display in the Minnesota Legislative Reference Library (State Office Building location) until summer. March in an odd-numbered year is a perfect time to remind you of the Library’s state budget resources. We regularly compile historical resources that provide context and perspective on issues of importance to the legislature and state government. Two new resources we published this fall provide historical perspective on the state budget. Major Appropriation and Finance Bills and Laws, 1995-present is a handy resource this year. Relying on sources from the House Fiscal Analysis Department, Senate Counsel, Research, and Fiscal Analysis, and the Library's vetoes database, we compiled a chronological list of major appropriation and finance bills and laws from 1995 to the present, including bills that received line item or full vetoes. This page makes it easy to pull up transportation finance bills from the past ten years, or to compare a vetoed version of an omnibus appropriations bill with the one that was signed into law. The second resource to note is our Minnesota Governor's Proposed Biennial Operating Budget page, which includes digital versions of proposed operating budget documents back to the late 1990s. (Older proposed operating budgets are also available in print in the Library.) This page provides quick access to Governor Walz’ proposed budget documents for FY2020-2021, alongside those of former governors. These two new pages complement our Minnesota Governor’s Proposed Capital Budget page, which includes digital versions of all proposed capital budget documents back to 1975. Harsh winter? 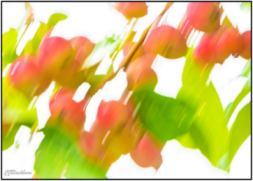 How about 'Sweet Summer'? This winter has been brutal! Stop by the Legislative Reference Library on the 3rd floor of the Minnesota Senate Building for glimpses of beautiful summer scenes for a reprieve from the snow and dark! 'Sweet Summer,' Carol Blackburn's collection of evocative summer nature photographs, will be on display until summer arrives. Carol is a longtime LRL librarian and a freelance photographer in her spare time. This is the fourth art exhibit the Senate location of the Legislative Reference Library since the opening of the Minnesota Senate Building in early 2016. Please stop by! 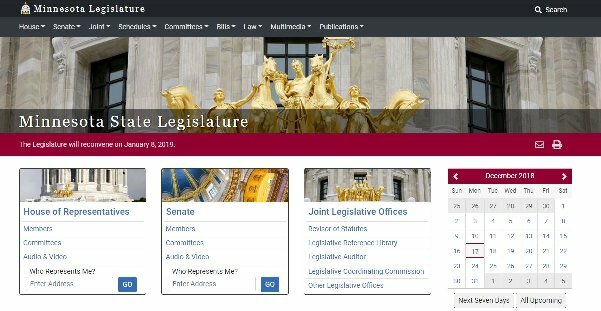 The Legislature's website has a fresh new look! After months of work by a dedicated team of legislative programmers, the new site was rolled out over the weekend. The programming team included Chris Cantey (Legislative Coordinating Commission), Mike Schatz (Legislative Reference Library), Max Carlson (House Chief Clerk's office), Matt Burress (House Research), Ariel Zannou (Senate Information Systems), and Isaac Holmlund (Revisor of Statutes). Also thanks to Krista Sheely (Senate Information Sytems), Mike Speiker (House Chief Clerk's Office), and Jason Judt (Revisor of Statutes). It's back by popular demand! Learn the names of the brand new legislators and refresh your memory on the returning members by taking the Minnesota Legislator Quiz! Can you get a perfect score? The Senate Counsel, Research, and Fiscal Analysis publication, Fiscal Review, is one of the most heavily used publications in the Legislative Reference Library. The Library’s paper copies are lovingly worn and the digital archive, reaching back to the first publication in 1975, is an invaluable resource. 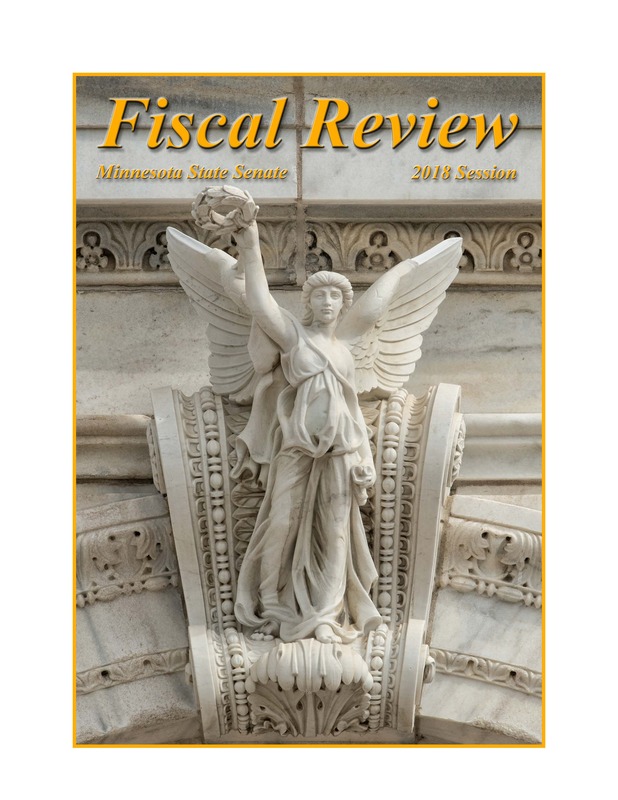 The 2018 Fiscal Review provides detailed coverage of the budgetary actions of this year's legislative session. Of course, the capital investment and the pensions bills are the main focus of this year's fiscal activity, but this year's edition also takes a look at the vetoed Omnibus Supplemental Finance and Omnibus Tax Bills. Two other budget issue are discussed that impacted the 2018 fiscal legislation as well: The Governor’s line-item veto of the FY2018-19 Legislative Appropriation and the creation of the nonpartisan Legislative Budget Office. To celebrate the recent release of the 2018 edition of Fiscal Review, the office of Senate Counsel, Research and Fiscal Analysis invites you to the satellite office of the Legislative Reference Library (3238 MSB) on Wednesday, September 26th at 10:30 am. Doughnuts will be served! Have you heard about the free, online Ebook collection created for all Minnesotans? Ebooks Minnesota has over 5,000 books for readers of all ages – fiction and nonfiction, with a special focus on Minnesota’s independent publishers. Ebooks Minnesota is brought to you by Minitex and made possible in part by funding from the Minnesota Department of Education through a Library Services and Technology Act grant from the Institute of Museum and Library Services. Elaine wrote the following article for the Minnesota IT Services blog on accessibility issues. She is a librarian at the Legislative Reference Library and also serves as the Accessibility Coordinator for LNET (Legislative Networking Group). The Minnesota Legislature’s website is the unified effort of staff from the House and Senate and several joint legislative offices including the Revisor of Statutes, the Legislative Reference Library, the Legislative Auditor, and other offices within the Legislative Coordinating Commission. Legislative staff from the various offices collaboratively manage the website through the LNET (Legislative Networking Group). LNET manages the content and design of the Legislature’s website and acts as a forum for all legislative offices to share and discuss issues. The group meets year-round to continuously improve usability and content on the legislative web pages. LNET members act as consultants for one another on issues of technology. While each body and office manage distinct websites, many legislative website activities are collaborative. Offices share data to make pages that include information from multiple offices, such as the combined calendar, the conference committee page, and MyBills. Much of the Legislature’s website, which consists of web pages and PDF documents for download, is compliant with the state accessibility standards and many of its documents posted from 2017 to the present are accessible, or the information is provided in an alternative accessible format such as HTML. Like many organizations, large amounts of older materials may not meet accessibility standards and may require a large dedication of resources if the older material is to be remediated. Legislative staff continue to work toward increasing the accessible online presence of the Minnesota Legislature’s website. The website is coded so that it is usable by keyboard and with a screen reader, which includes use of jump navigation, alt text, heading tags, and meaningful link language. The Legislature uses popular tools such as WebAIM’s WAVE to test for accessibility. 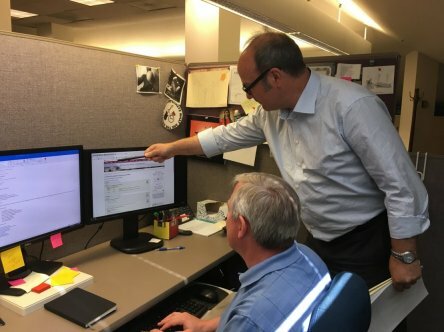 IT staff from the legislative offices are currently coordinating to transition the website to Bootstrap, a web interface framework, that will improve the way it works on diverse screen sizes. Many materials, such as bills, session laws, statutes, and rules, are available in HTML as an alternative to PDF. Several legislative offices publish reports and use CommonLook software to remediate PDFs, when applicable. Tagged PDFs are offered when possible. Because the nature of legislative work is complex, fluid, and fast-paced, tagged PDFs may not be immediately possible. An additional accessibility challenge for the Legislature is that some documents that are submitted for posting come from public citizens or non-legislative entities and are not electronically accessible. For specific documents that may not be accessible, the Legislative Coordinating Commission facilitates requests for remediation to make the documents accessible. Audio and video archives are continually expanding on the Legislative website. Streaming video programming is captioned in both the House and Senate. Recent Senate video files have searchable captions. In addition, the House is exploring ways to possibly make transcripts of audio files available. It isn’t new for party endorsing conventions to be full of twists and turns. 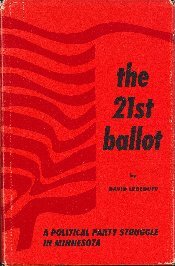 They’re as interesting today as they were fifty years ago, and we were reminded of this last week when we received a donated copy of a book we’ve long had in our collection: The 21st Ballot: A Political Party Struggle in Minnesota. The book, written by David Lebedoff and published in 1969, chronicles a turbulent time within the Democratic-Farmer-Labor party starting in late 1965 and running through the election in 1966. That year, Governor Karl Rolvaag lost to a relatively unknown Republican Party activist named Harold LeVander. The copy we received contained an inscription from former Governor Rolvaag with an interesting note: “… some day I must write to correct some substantial errors." 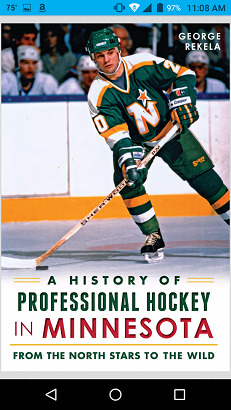 James Pederson, reviewing the book later that year, wrote: "These flaws, while serious, do not discredit The 21st Ballot as a well-written work ...[capturing] the emotion, excitement, and drama that the political events of 1966 held for most Minnesotans." Proving that both parties have their struggles, There is No November details Jon Grunseth's candidacy for the office of Governor of Minnesota in 1990. The political intrigue included a tough Republican primary battle between Grunseth and State Auditor Arne Carlson, and two post-primary allegations of improper conduct against Grunseth. They were facing incumbent Governor Rudy Perpich. If you don't know how it turned out, check our Minnesota Governors historical table.